Records have been shattered - 15th coldest February, snowiest March, largest 24-hr snowfall on record, all time lows, extreme cold warnings and now a winter storm warning for tomorrow. Ahh, it's good to be home! But the masses of snow has also meant one of the best ski seasons in years (and a normal season is pretty good here) so we packed ourselves off to Fernie. 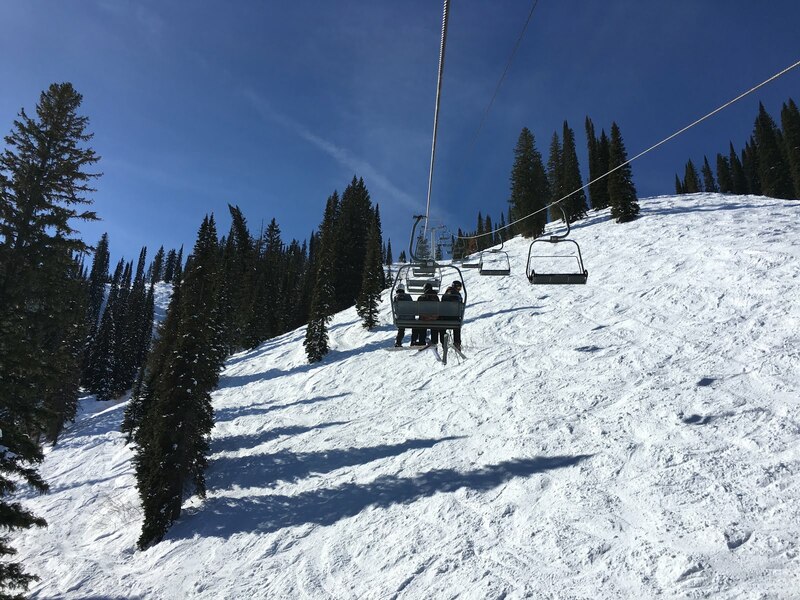 Perfect bluebird day and snow, snow, snow. We are not ski fit but that didn't dampen our enthusiasm. Swoosh, woosh and only the odd kaploosh. 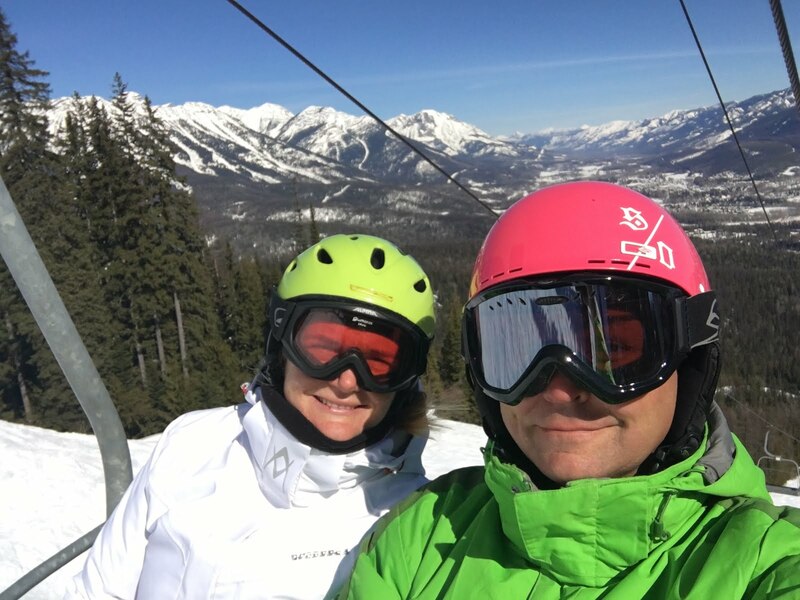 Snow, sun and not too cold - doesn't get much better! 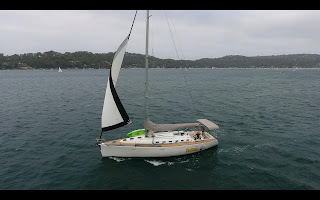 Our last few days in Australia and we are back aboard Popeye, pottering around Pittwater and the beautiful waterways of the Ku-Ring Gai Chase National Park. It is wonderfully quiet and restful. We are able to pick up moorings so we do not even have that mild background anxiousness of being at anchor. Popeye feels like home, almost as if we have never left … except Monkey has gone. 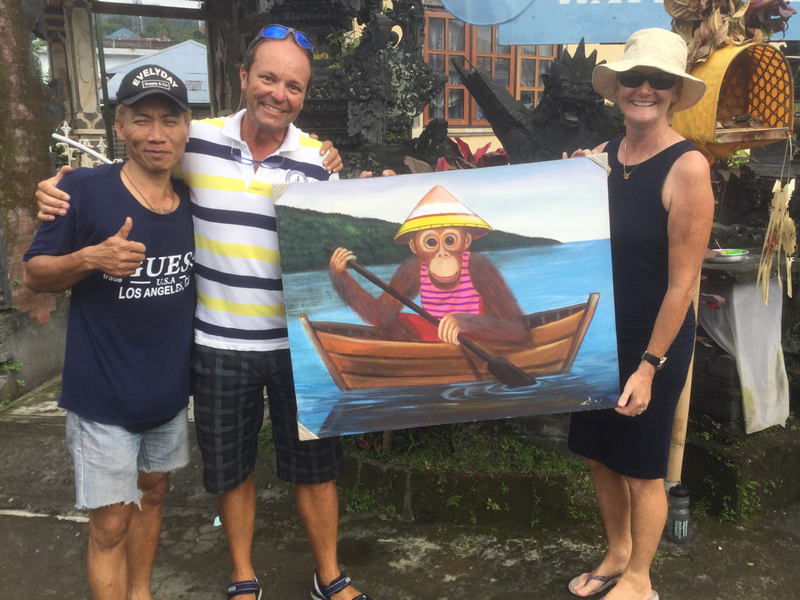 Our bright, happy Monkey who shared those long, rough, night watches and all the highlights and lowlights of our journey from Bali and never once dropped his oar. He has been replaced by a work of calligraphy. Poor Monkey! It seems only fitting that we are aboard Popeye, pouring over cruising guides and charts, planning our next sailing adventure. 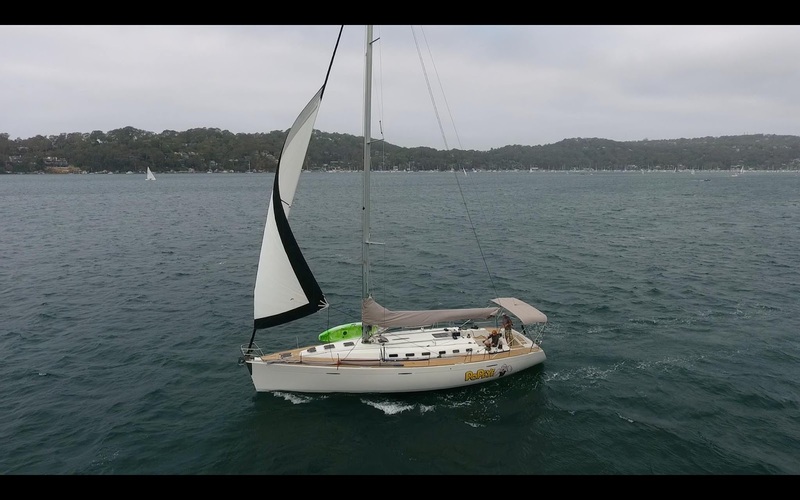 We will be back to AUS in September to deliver her from Hamilton Island to Royal Prince Alfred Yacht Club in Pittwater – a voyage of 800nm down the east coast. In the meantime, we are heading back to Calgary, partying with the Broadview Road crowd, catching up with all our friends, house hunting in Canmore, celebrating Diane’s 75th birthday in Parksville, skiing with the Caulfields and the Easts in Big White and the Pettigrews in Fernie, training for the Wasa Lake Triathlon in June and spending the Summer in Europe. And so our life rolls on! As is does, time rolled on and once again, we are heading towards Tullamarine Airport. Mum kindly offered us a lift so we piled her car full of our suitcases and bags and started off. With me at the wheel in moderate to heavy traffic we were in the middle lane of the Nepean Highway at about Gardenvale, a flicker of movement caught my eye. To my arachnophobic horror one long hairy leg, then another and another danced out from the door jam until the whole hand-sized huntsman spider began his waltz across the dashboard. Obviously my first reaction was to scream, slam on the brakes and leap out of the car BUT I remained calm. With a heart rate close to cardiac arrest, I flicked on the blinker, safely changed lanes, turned onto the service road then felt at liberty to scream and leap out of the car! Sean, most manfully, removed the spider from the car and only once I saw him scurrying around on the nature strip did I feel it was safe to get back in. 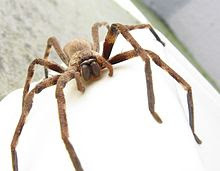 I must say I do not miss the old huntsman spider in Calgary!